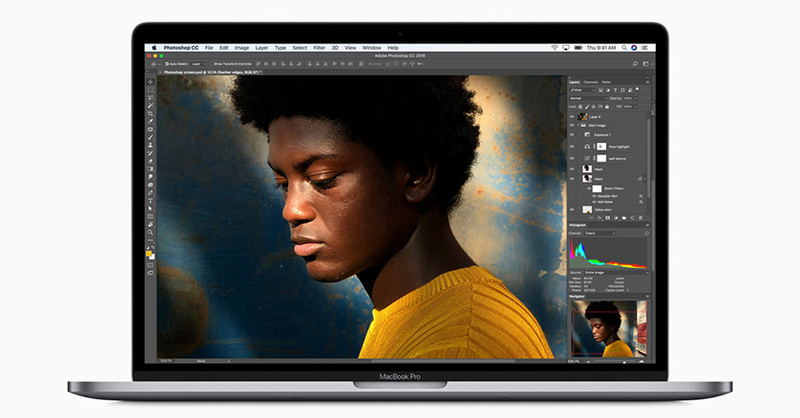 Apple just announced its latest MacBook Pro with the familiar slick design, enhanced performance, and a plethora of new pro features. Touted as the most advanced Mac notebook ever, the all-new MacBook Pro with Touch Bar boasts 8th-generation Intel Core processors, with 6-core on the 15-inch model and quad-core on the 13-inch model alongside a handful of additional noteworthy hardware upgrades. The new notebook lineup now supports up to 32GB of memory and comes equipped with a True Tone Retina display with 500 nits of brightness providing support for the P3 wide color gamut. The display on the 15-inch model is powered by the Radeon 555X or Radeon 560X discrete GPU with 4GB of DDR5 RAM whereas the 13-inch siblings pack the integrated GPU now with 128MB of embedded DRAM. Other notable enhancements include large Force Touch trackpad, revolutionary Touch Bar and Touch ID, improved third-generation keyboard for quieter typing, dynamic stereo speakers, quiet Apple-designed cooling system and Thunderbolt 3 ports for data transfer, charging and connecting to supported devices. Beyond that, the brand new MacBook Pro comes equipped with the Apple T2 chip (first introduced in iMac Pro) that delivers enhanced system security with support for secure boot and on-the-fly-encrypted storage, and also brings “Hey Siri” to the Mac for the first time. Furthermore, the MacBook Pro can be configured with blazing-fast SSDs providing up to 4TB of storage on the 15-inch model and up to 2TB on the 13-inch counterpart. 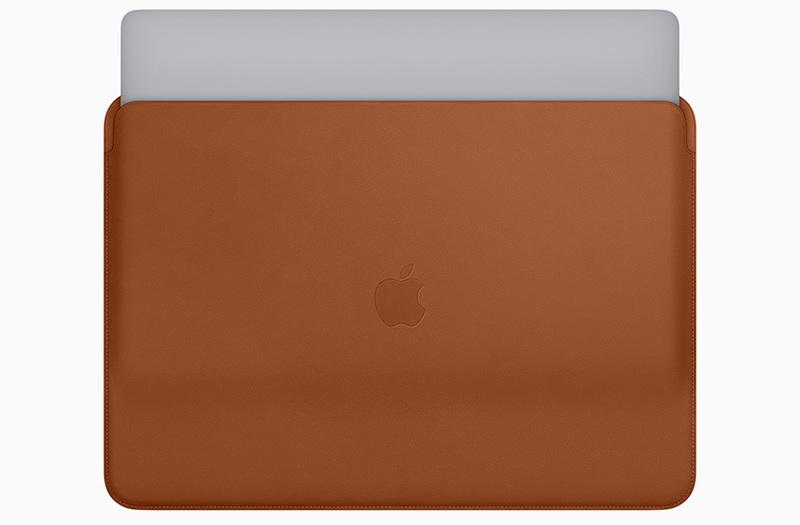 Together with the MacBook Pro refresh, Apple also releases a new leather sleeve accessory available in three colors – saddle brown, midnight blue, and black. Designed with high-quality leather and a soft microfiber lining for extra protection, the sleeves for the 13″ model will set you back $179 whereas those for the 15-inch model will sell for $199. The updated 13-inch and 15-inch MacBook Pros with Touch Bar are already available to order through Apple.com as well as in select retail stores and Apple Authorized Resellers later this week starting at $1,799 and $2,399 respectively.